Systems development is the process of creating and maintaining information systems, including hardware, software, data, procedures and people. It combines technical expertise with business knowledge and management skill. This practical book provides a comprehensive introduction to the topic and can also be used as a handy reference guide. 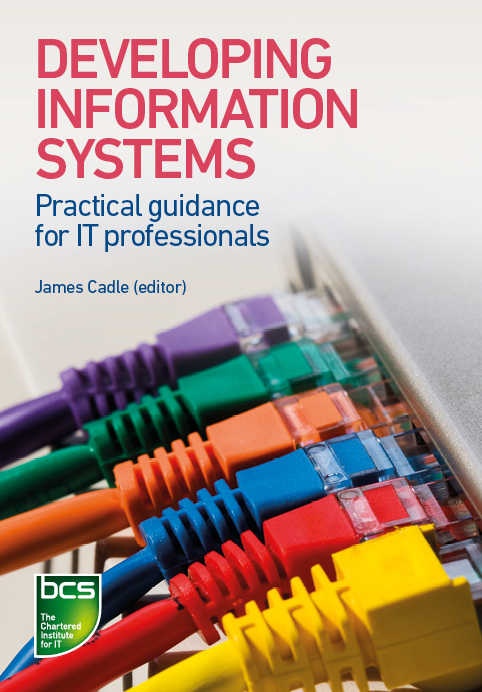 It discusses key elements of systems development and is the only textbook that supports the BCS Certificate in Systems Development. Developing Information Systems has been written by a team of highly experienced IS professionals who have been involved in all stages of system development and implementation and who also write, teach and speak at conferences and seminars on their areas of specialism. This book is a timely update to the corpus on systems development. It is comprehensive, but consumable and good for reference thanks to its clear and well-signposted layout. Copious and clear diagrams are another excellent feature. Each chapter is easy to read and the big picture easy to see. This book will make ‘just googling it’ a rather expensive option for those who value their time. Information systems development encompasses such a broad range of topics and techniques, that it is hard to envisage a single book being able to provide comprehensive and consistent coverage of them. This book rises to the challenge and should be essential reading for all those involved in the discipline. The book is extremely well structured, with separate sections for the various key stages in the overall process. Although it&#x2019;s worth reading all the way through at least once, it is also highly useful as a reference work because each section stands complete on its own. [...] a highly comprehensive and authoritative book; and one that would not be out of place on most technical reading lists.